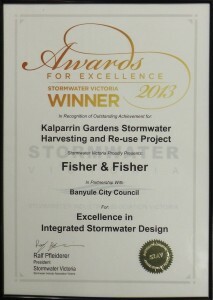 Fisher and Fisher’s Kalparrin Stormwater Harvesting Project, the 2013 Stormwater Victoria winner in the ‘Excellence in Integrated Stormwater Design’ category, is an automatic finalist in the upcoming Stormwater Australia National Awards. 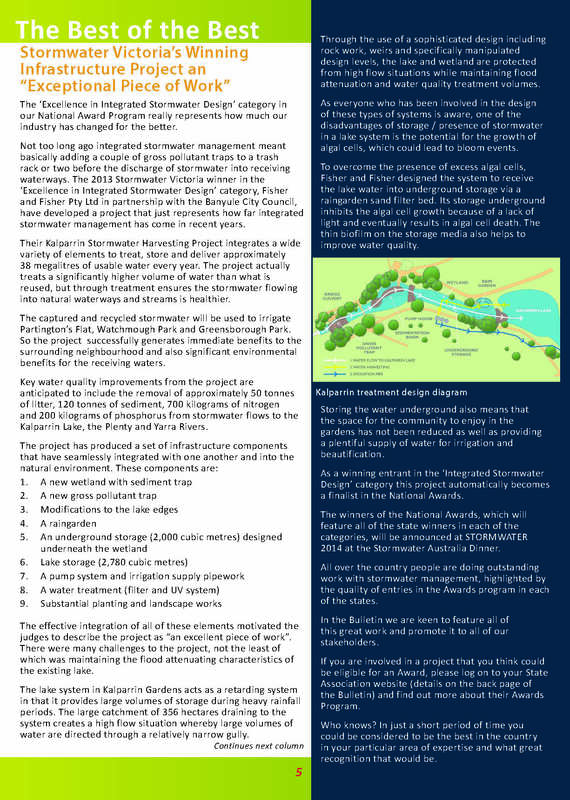 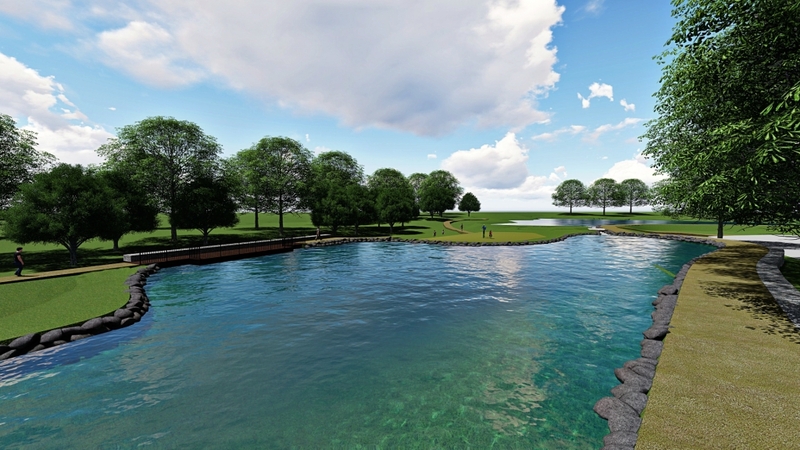 The project has been recognised in the Stormwater Australia July ’14 bulletin as an “exceptional piece of work”. Fisher & Fisher 2013 SIAV excellence award winner for the Kalparrin Gardens Stormwater Harvesting Project. 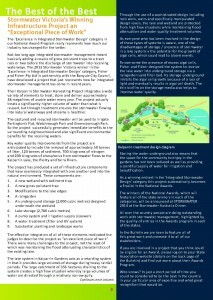 Kalparrin Gardens & Chelsworth Park Stormwater Harvesting projects are currently being constructed.